A short position in the S&P Restaurants Index versus S&P 500 Index was opened in mid December which has progressed well. 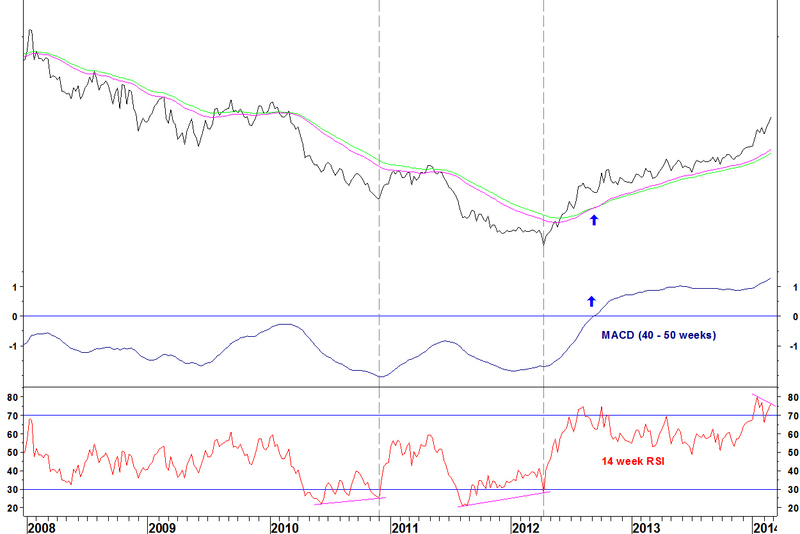 Now, this trade is near to showing bullish weekly and daily RSI divergences. There is likely much more downside for this chart in the long term, given the long term moving average crossover. 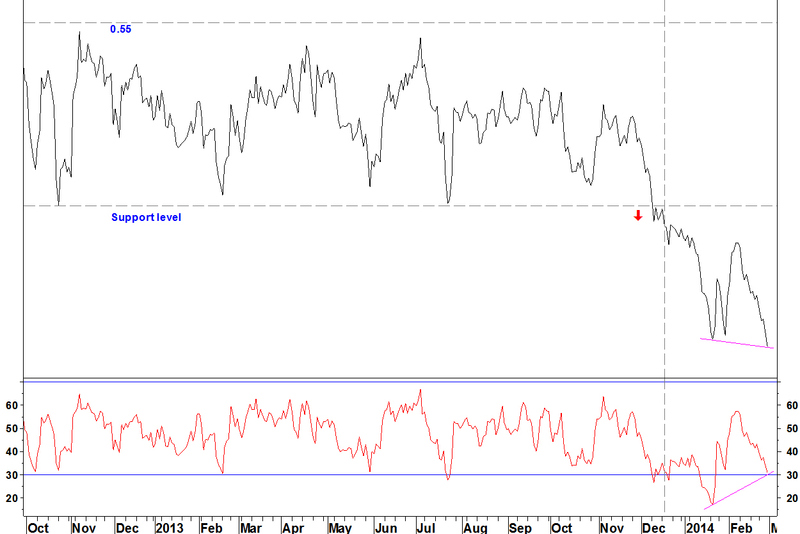 However, daily RSI divergences have been shown to be good profit taking opportunities. It depends on your trading style, with long term asset allocators maybe holding onto an underweight position. I will take profit on this trade for a gain of 4.5%, I can always re-enter the position later. This could easily take several months, look at the scale – would you want to sit through this pullback (in which restaurants outperform health) for months?